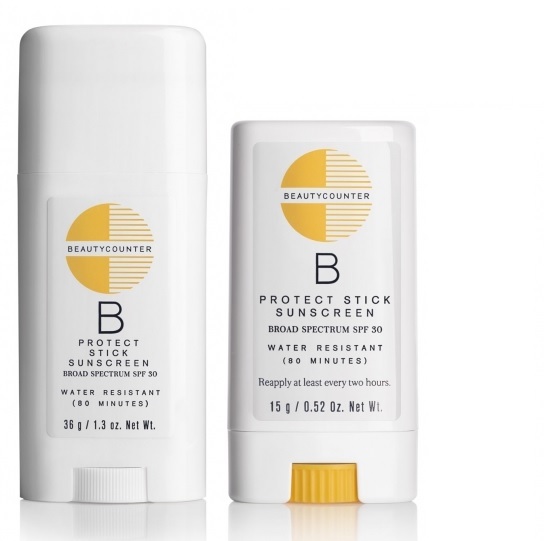 Beautycounter Protect Stick Sunscreen SPF 30 (Face) - 15g - $22 and Beautycounter Protect Stick Sunscreen SPF 30 (Body) - 36g - $41 - formulated with non-nano zinc oxide, they provide protection from UVA and UVB rays, gliding on smoothly without leaving any white residue behind. The formula contains ultra-moisturizing and nourishing organic cocoa butter which also provides the scent which will remind you of the summer, even when it isn't! It's also great to take on your tropical vacations this winter, instead of using a potentially harmful sunblocker like oxybenzone, the non-nano zinc oxide is an effective natural mineral that has not been found to be harmful to coral reefs.